Im new to the forum and i am about to start building my first marine tank setup. iv had tropical fish since i was around 5 years old which wasnt exactly yesterday. looking for some advise so i do things correct. I have a 5ft tank that will be turned into my marine setup. Are you thinking of fish only or with corals too? Hi AJM. 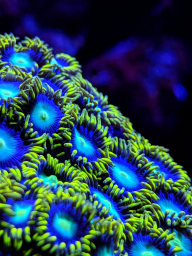 i would like corals aswell as fish but i am open to sugestions and do's n dont's. iv always wanted a marine tank but never went for it before and now my son wants the famous nemos. and aparently he wants a bamboo shark. hes been on google looking. I need to add a sump to my tank but im confused with the setup so far. also should i put inlet and outlet through the bottom of the tank or us an overflow box? which is best? aparently he wants a bamboo shark. hes been on google looking. Hope you've got a big tank then! Look up herbie and bean animal drains, that's the ideal setup. Quiet and safe. I was looking on the members tank section and the post "gavs aqua oak" is the same tank i have. Not sure if his is the 5 or 6ft tank but mine is the 5ft. When i told the wife i was needin to drill the glass she was not amused but needs must. Yes i was thinkin about drilling through the rear of the tank and also when i seen gavs aqua oak post it has just confimed exactly this. Ok so the sump, does it need to be a certain size in relation to the tank? Also should i post this in another section or is it ok to still continue this in the newbie section? Sump, big as possible for water stability and room for equipment, but bear in mind you'll want space to store anything you dose and top-off water too (you top up evaporation loss with deionised fresh water). thanks for all the info guys much apreciated. Gav- the unit i have has the 3 cuboards so i was looking at converting 2 into sump. i thot at first that would have been to big but now i realise its ideal. ok so the inlets and outlets... what size of pupe for this? i can get the upvc piping easily through work so what ever size is best ill go with you guys recomendations. I have sourced someone who has a 3ft tank lying around so i will convert that into a sump. I was also wondering, i have seen some tanks with the pipework for the sump in the corner, is there any benefit between corner or centre? or is this just based around personal preference? My pipework is all in 1"1/4 uPVC , I chose a central Weir so that the draw over the Weir from across the tank was more even . I also chose off the back pipework as opposed to through the base of the tank because the cabinet frame supports are rather wide and the holes that would require drilling in the cabinet would been quite forward when lined up in the tank , loosing too much tank floor space to the eventual width of the Weir box . ah ok yes that makes sense. i dont want to be copying your tank tho so ill need to come up with something different in someway . thanks for your help. Your welcome to use anything I've done to mine or ask reasoning for why I've chose what over which if you'd like , if I were to change mine id go for something similar to the Ghost overflow by reefsavvy. Have a look into this too , it may help give other ideas , I prefer thay Weir design as it isn't intrusive into the tank like any other type Weir box.